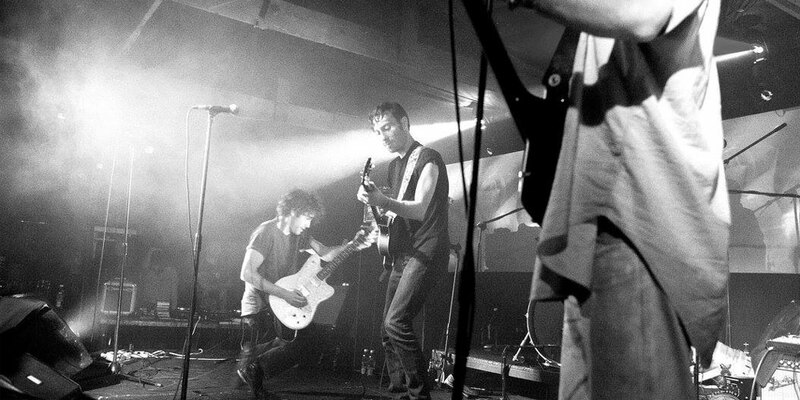 As we savour our memories from the holidays for strength in the New Year, we don’t have to look too far back to revive the scintillating burn of The Black Lips performances. 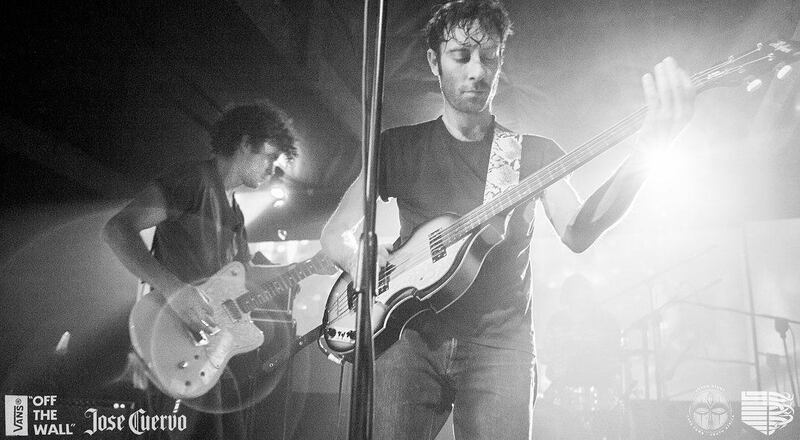 2015 saw Psych Night bring a fantastic balance of the Allah-Las’ groovy Californian charm and the whiplash-grit of The Black Lips. We also saw our local scene bring the fire with standalone and support shows throughout the year. 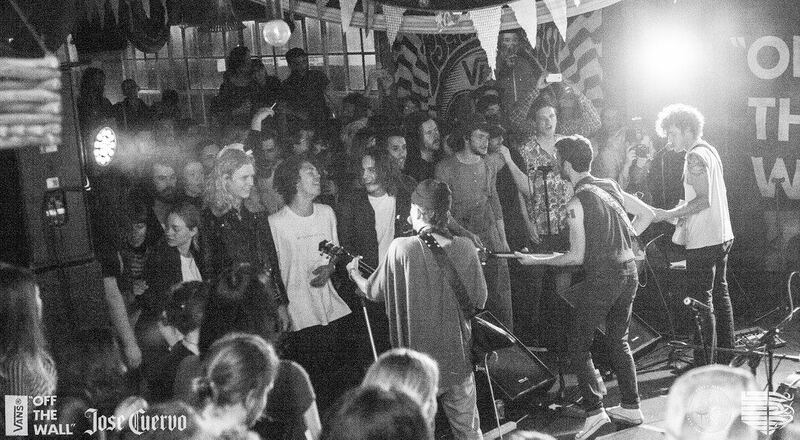 There is a stirring in the wind as the beast of native talent stretches itself into position – a vision made vivid by the bands we saw support The Black Lips SA Tour. It was a Thursday when the Psych Night team set-up shop at Carfax (JHB) for the first time, and what a great choice it was. A short way up the road in Braamfontein, the streets teemed with eccentrics and the night ushered in a foray of bright-eyed, wide-smiled and energetic people. The silky mood quickly wiped away any doubts we may have had and the suited-up surf grumble of The Moths set us well on on our way. The Moths have been a favourite of Psych Night for a while now, supporting past international bands with their tight and fresh take on mainly instrumental surf rock – a sure winner every time. They were followed by the ever-frolicking, neo-psychedelic sweetness of Sol Gems. We have seen them rapidly evolve since their inception and we have a keen curiosity to see where their maturity will take them. The final support band of the Johannesburg line-up saw Bantu Continua Uhuru Consciousness, or BCUC as they are more commonly spoken of; land on stage. There was a stark interjection of the evening’s procession as BCUC rallied the crowd and unleashed waves of passion and trance-like captivation. We can’t wait to see them in Cape Town soon! Our team whipped across the country for the next show in Cape Town, to be held at The Assembly. Back in familiar territory, the band ran loose in the town before the debut on Saturday. The opening act was Durban import, The Sisters. 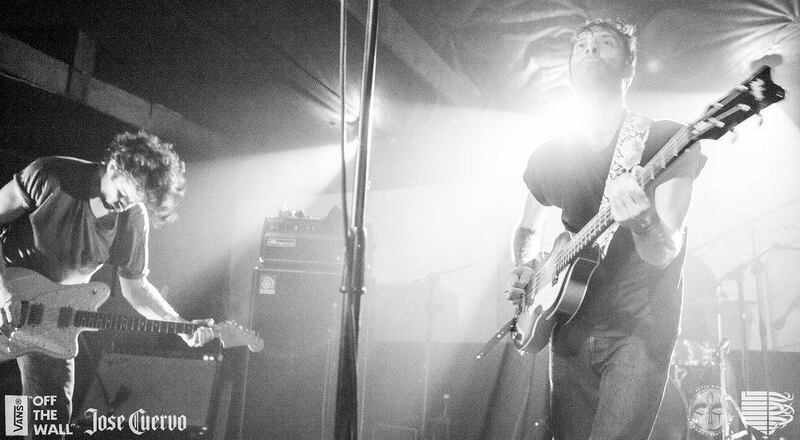 Formed from Black Math, the band swathed the crowd in raw psychedelic groans, cut by articulate guitar work. The rapid start was picked up and tuned into 70s/60s garage rock by The Gumbo Ya-Ya’s. Their fast-paced turnarounds and fuzzy bellows kept the atmosphere alight. Sakawa Boys rounded off the local support for the night. A growing favourite, they casually settled the crowd only to throw them into a shoegaze blur, peaking readiness for The Black Lips. Tending to wounds and scratching for painkillers, the Cape Town audience was in for one last hoorah with a ‘secret’ Sunday show. In the heart of industria, Colourbox Studios was the final resting ground of the tour. We know from past ‘secret’ shows that there is a real longing for the more intimate and small-scale nature of the event. This one was no different and the venue allowed for the crowd to lounge outside and feed off the food trucks; while inside was a cool relief from the blazing sun, treating us to panoramic views of Cape Town and its surrounds. The Fizz Pops awakened our party spirit and the suave nature of the band eased us into their garage pop rock rhythm. Although they are a new addition to the growing Cape Town band list, the members of The Fizz Pops collectively bring a healthy measure of experience to formulate their slick sound. Retro Dizzy were next to take the stage. 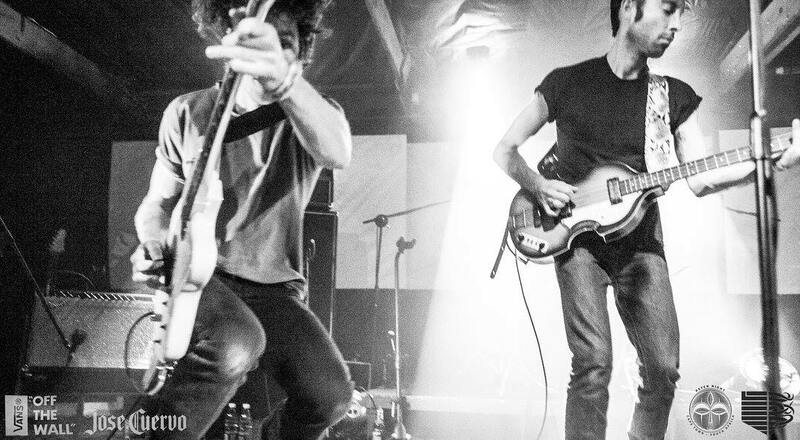 Being a local favourite, their melodic and charismatic sound kept the feet moving. Last up was Medicine Boy, a band that has grown leaps and bounds since sauntering into their three-month European tour. Traditionally a duo, they debuted a drummer, who helped pull together a sound that is becoming progressively unique. Medicine Boy’s theatrical moodiness set the scene for the conclusive lick of chords from The Black Lips. 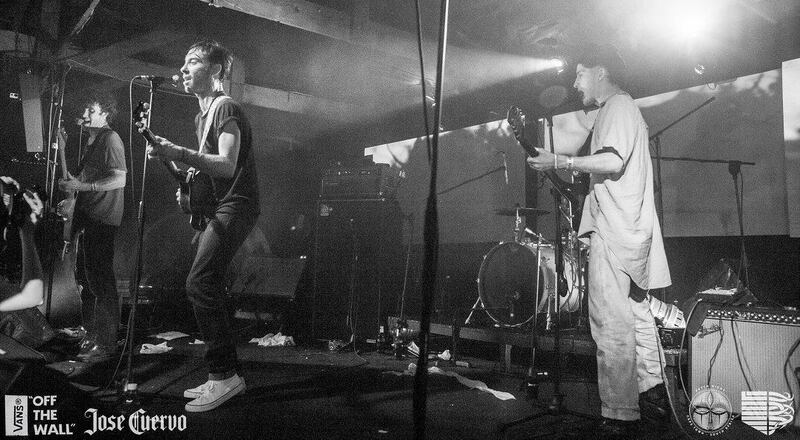 The Black Lips exceeded expectations and those fortunate enough to have seen all three shows were able to admire the pure brilliance of what this band does when it comes to raw garage rock ‘n roll. With their wild reputation preceding them, some in the audience were expecting more questionable antics but The Black Lips’ fortuitous and lengthy history carries a distinct air of authenticity into their performances, antics or not. It is not hard to see why NME ranks them as one of the most influential bands out there. They play vehemently and for the love of their music. Everything else falls to the wayside, although the “everything else” is never revealed; and herein lies their hedonistic nature that so many have come to yearn. For Psych Night, this tour was a beautiful gathering of like-mindedness. These tours are hallmarks for future paths, and the way forward would be much more arduous if it were not for the continued support from Vans South Africa. We were fortunate enough to also have the full support of Jose Cuervo, who threw their tequila-fueled energy behind this tour. There are many elements involved in something like this and gratitude is owed to everyone involved. To keep the good times rolling we released a live recording of “O Katrina!” late last year, and we are happy to treat you with the next video in the series – “Raw Meat”. Credit goes to Roundabout Films for the video production and to Michael Clarke for masterfully pulling the sound from the live show for our audio pleasure.